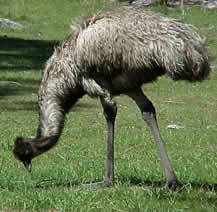 The Emu is Australia’s tallest native bird and will reach a height of 3 to 5 feet when standing upright. It may also reach weights of 60 to 70 pounds and is a bit lighter than the cassowary, which is a distant cousin. They have very shaggy feathers which are colored a grayish brown and the neck and head are usually bald and colored a deep blue-black. They have legs which are very long and powerful, but wings that are quite small resulting in their flightless state. 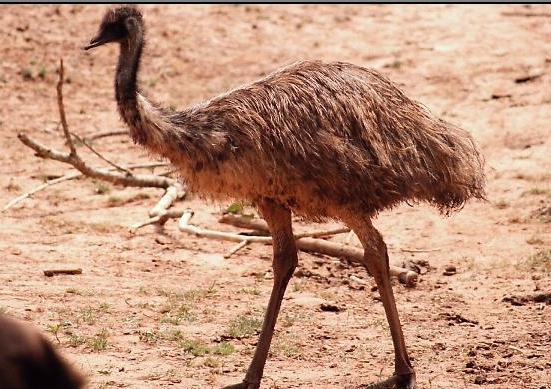 They are set aside from most of the heavier birds by the fact that they have no toe in the back of their foot, only the three toes that face forward.The name Emu itself is aboriginal and sources indicate that it may have derived from an Arabic word meaning simply “large bird”. populated regions however despite this in the more rural areas they have increased dramatically in number. This is largely attributed to the ability of the Emu to reproduce at a very rapid rate and the fact that the availability of water that is put out for livestock has helped them survive in what is a very harsh climate. relocate according to conditions, each has a specific territory which they will remain in as long as food and water are adequate, but if conditions become less than desirable they move to a new location. They may move hundreds of kilometers in search of suitable habitat in times of hardship. The nesting takes place in the winter months and the male and female remain a pair for around 4 to 5 months during which the courtship and actual mating take place. The mating call of the male may consist of grunting, booming, and drumming which can often be heard for 1 to 2 kilometers. 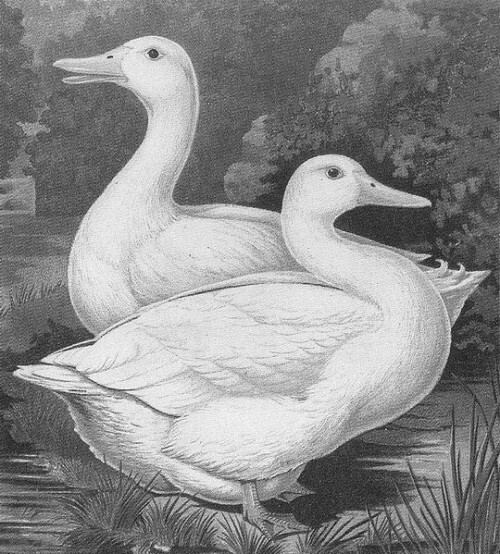 The pair will stay together during the entire process of building the nest and the laying of eggs. The nest is usually a grass platform on the ground that would measure about 2 to 4 feet in diameter. During the mating process the female is the dominant one, however after the eggs are layed the male becomes quite hostile towards other birds including the female and eventually the female will leave and the incubation is left solely up to the father. During this time the father will not leave the nest for any reason, not to drink eat or even defecate and if an egg rolls out of the nest, it will immediately be pulled back in by the father. After the incubation period, the chicks will hatch and are a light cream color with darker brown stripes and will stay in the nest for 7 to 10 days during which the father will provide food. After this period, they will leave the nest under the protective eye of their father and will remain with him for 4 to 6 months until they are able to care for themselves. After they reach around 6 months of age, the fluffy white chick feathers will give way to the typical shaggy brown plumage of the adult.